The family of the late Ivan Agafonov agree with the experts, who say the cause of the young man’s death was not a punch from MMA champ Ruslan Mirzaev, but the head trauma he got from falling on the pavement. ­But the Agafonov family’s lawyer, Igor Trunov, stressed that such a stance does not mean the sportsman is not guilty. "The main causes of injuries the athletes get aren’t the blows from their opponents, but the unfortunate falls on the floor,” Trunov told Interfax news agency. 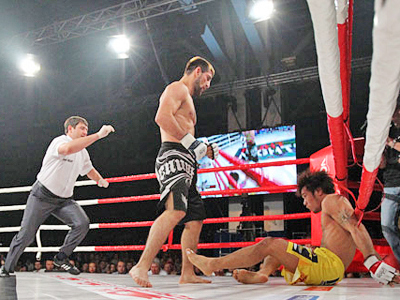 “Mirzaev was well aware that because of this the fighting ring has two special layers – absorbing and softening. When he knocked the man out on the pavement, he understood and had to understand what would happen when a man loses consciousness and collapses." The lawyer stressed that the investigation was absolutely correct in qualifying Mirzaev’s actions as "intentional infliction of grievous bodily harm, resulting in the death of the victim," instead of a lighter article of "causing death through negligence." 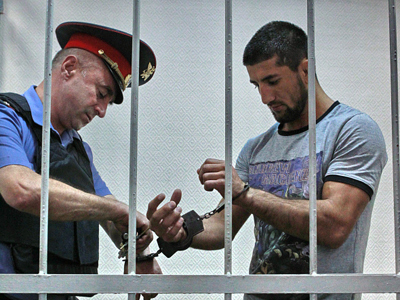 The MMA Lightweight Champion and Russian Sambo team member may now face up to 15 years in prison. Trunov also said that the Agafonovs hope to receive compensation of 1 million euros from Russia’s Sambo Federation for the loss of their relative. He explained that the Federation has “raised and trained Mirzaev” and therefore should hold legal liability for what he has done. The Sambo Federation has already denied the claims, saying they are not responsible for what their athletes doing outside the team. The tragedy occurred in the heart of Moscow, not far from the Garage nightclub on August 13. Agafonov, 19, used his radio-controlled car to start a conversation with one of the girls in front of the club when MMA Lightweight Champion Mirzaev, who was spending the evening with the young woman, took umbrage. An argument began and the mixed martial arts specialist, nicknamed the Black Tiger, delivered just one blow to the young man. But it was so powerful that Angafonov landed a meter away and his head struck the pavement. Doctors fought for the young man’s life for four days, but he passed away without regaining consciousness. Mirzaev presented himself to the police voluntarily. The 25-year-old athlete confessed to hitting Agafonov and was detained after the questioning. 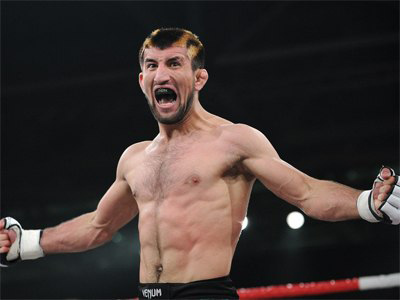 Rasul Mirzaev claimed the MMA Lightweight Champion’s belt in June this year, knocking out Masanori Kanehara of Japan.